Recreational drug use is something performed by many people throughout the world. Especially in recent times, you often see drug use glorified by the media, pop singers and actors. However, there is a dark side to it all. Drug use leads to drug addiction in many cases, and it happens to people – and it does not discriminate either. At Cassiobury Court, we not only treat Drug Addiction, but we see it as our task to inform you and your loved ones about the dangers it brings to you personally – and to everyone else around you. 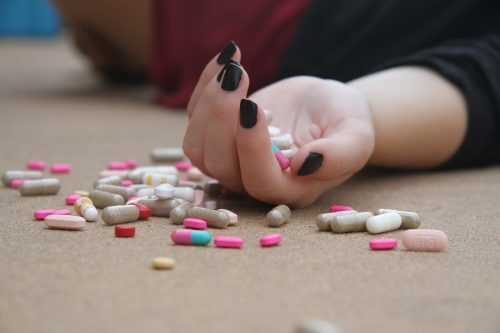 On this page, we explain what drug addiction exactly is. It has been a question that has been asked many times by people, yet society cannot provide a correct definition everyone agrees with. However, at Cassiobury Court we are inclined to follow scientific proof that drug addiction is a disease. Just like pulmonary diseases, cardiovascular diseases and other illnesses. After repeated use of a drug, your brain adjusts the regulation of chemicals such as dopamine. This leads to a process known as tolerance. You will need to take more and more drugs in order to reach that feeling of satisfaction. What follows, is your brain being this adjusted to outside stimulation of these chemicals. Scientists often claim that once your pursuit of getting high against becomes pathological – the drug use does not become recreational anymore. Your Drug use becomes pathological when you cannot enjoy the drug taking process anymore – nor are you able to abstain for a prolonged time. You will feel like your body is missing something that is needed to survive if you do not take the drugs. That is how addiction starts. What can Cause Drug Addiction? There could be various causes for drug addiction – there is no way to tell a drug addiction is the result of a certain influence. However, there are a few indicators that could explain a drug addiction. It is possible that you are easily predisposed to addiction due to your genetics. For some people, your brain could react a bit more aggressively on addiction. People who already have an existing mental condition could be at more risk. Especially as people with ADHD lack dopamine in the brain. Genes could also play a part in determining whether you might be prone to become addicted. Your upbringing is most likely to be the largest cause of drug addiction. Various situations in your formative years can lead to drug abuse. For example, having a parent who suffered/still suffers from an addiction – can decrease AND increase your chances of becoming a drug addict. There are various arguments to be made on each side. Early exposure to drugs could lead to younger people seeing the ramifications of drug addiction, and are therefore not going to use drugs themselves. On the other hand, early exposure to drugs could lead to the use of drugs being normalised by the parents, and the child could join in. To add to that, starting drugs at an early age could inhibit and stop growth – both physically and mentally. If certain parts of the brain stay underdeveloped, an addiction could be the result as risky behaviour is often a part of the development of a teenager. Many loved ones can tell there is something wrong with their beloved family member or friend, but pinpointing the issue is difficult as your friend/family member does not want to share – as drug addicts tend to keep their addiction quiet. This is often due to feelings of shame, as there is still a stigma surrounding drug addiction worldwide. It is often seen as a weakness – but nothing is further from the truth. Drug addiction is a disease that is often too hard too battle on your own. If you suspect possible drug abuse, you can look out for the following behavioural changes. Increased Aggression and Irritability: Some drugs tend to activate certain triggers in the brain that could set off aggression. Personality Changes: Have you noticed that your loved one has not been him/herself? Have performances at school/work been poorer than usual? Critical brain activity has most likely prioritised the drug over anything else, and everything becomes second fiddle to the substance. Financial Problems: Often, drug addiction becomes a very expensive disease. Drug addicts can spend a few hundred pounds a day on drugs. 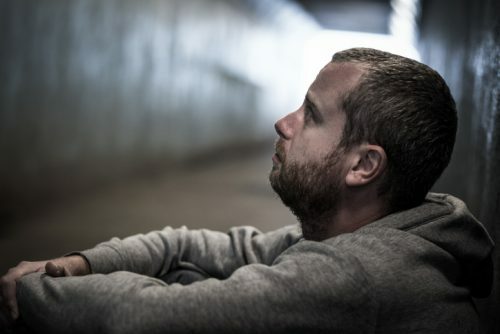 If you notice that the financial situation of your friend, family member or partner has become increasingly precarious without a viable reason, it could indicate drug addiction. It is not only behavioural changes that could indicate addiction, but also changes in physical appearance. Many drugs have a profound and noticeable effect on the body – and in some cases, the behavioural changes that often come with drug abuse could also have an effect on the body. Weight Loss(Heroin): heroin users tend to lose weight quickly due to a suppressed appetite – as it suppresses the hormones that triggers the feeling of hunger. Also, heroin causes your digestive tract to get blocked, which will make you feel full all the time. Poor Appearance: Drug addicts often do not take care of their appearance. This is the result of a poor financial status and planning, and of a complete disinterest in day to day tasks. In this video, we explain how to spot a drug addiction. As hard as it looks, there is always time to call it a day, and fight your addiction head on. People from all walks of life have overcome it, and with the right help, so can you. You prolong your life, and make it easier for yourself and your loved ones, if you accept that you have an addiction – That is the first step you need to complete. Detox and Rehab are secondary and tertiary steps. At Cassiobury, we offer Drug Detox and Rehab at our centre in Hertfordshire. Why not give us a call today on 01923 804 139. Drug Addiction is often considered a choice by many people – which is an understandable opinion. Everybody chooses to do drugs before they are addicted. However, most addicts tend to start using at a young age where the brains have not fully developed. Once you become pathologically dependant on drugs- there is no choice for you anymore. You will need to keep doing drugs – not to feel better, but to feel normal. 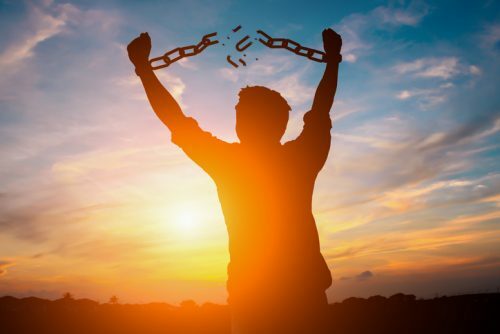 An often quoted statement in rehab is: People feel out of control once they are on drugs – us addicts feel in control only when we are on drugs. This quote explains that the working of the brain has been warped due to addiction, even before one realises they are addicted. I’m Afraid I Might Be Addicted: How Do I Know? If you are a drug user who is worried about their consumption levels – you probably have grounds to be worried. Drug addiction ruins families, relationships and friends. For those that are unsure whether or not they are addicted, the fact that you are on this page is already an indication of you being aware of a possible problem – which is already a first step towards a drug free life. Try and measure the effect drugs has on your life. Are you financially struggling due to drug use. Are you avoiding friends or family due to drug use? Missing work, school or other obligations through drug use? If you have indeed being doing that on a regular basis, but you are unable to stop – the drug use has become pathological and you might be suffering from an addiction. What Happens During Drug Rehab – and how do I prepare myself for Rehab? Can Our Surroundings Fuel Drug Addiction? Is Addiction an Inherited Illness?